PublishDrive is one of the inspiring group of startups that is going to Google HQ this summer to take over Silicon Valley as a booktech startup! Companies from Asia, Latin America, Africa and Europe will be heading to Google Headquarters to take part in a 2-week training. Google will help startups dig deeper into machine learning and AI, to help them leverage Google’s latest technologies to scale their apps. The program gives PublishDrive a unique opportunity to use Google’s network and resources for product development and marketing. It includes intensive mentoring from 20+ Google teams, and expert mentors from top tech companies and VCs in Silicon Valley. What does Google give during the program? If you’re an author, you probably want to leverage multiple channels to increase your visibility and boost your ebook sales. You can definitely make some money by publishing your book with iBooks. In the following, you’ll learn about some Apple tools to make your life easier when publishing a book on iBooks. 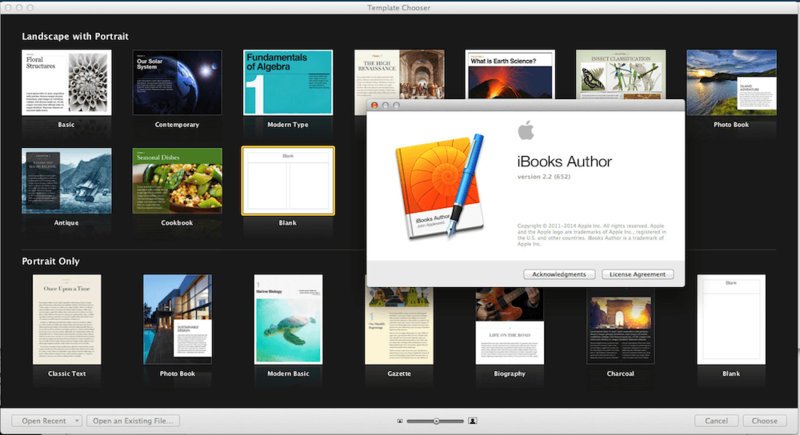 iBooks Author is Apple’s book-creation app that helps you develop Multi-Touch books with interactive elements such as 3D video, embedded web widgets, interactive diagrams even Keynote presentations. These multimedia elements can be useful for non-fiction books like cookbooks, history guides, picture books, etc. iBooks files are a special Apple-only version of the epub standard, they can only be created using the app, and they can only be read by the iBooks app. The software supports EPUB and PDF formats. If you have used Apple’s Pages and Keynote before, you’ll be familiar with how iBooks Author works. It goes without saying that the ebook market is evolving and this trend brought along another interesting phenomenon in the digital publishing industry: self-publishing. However, this is not a new thing. It’s the technology that has changed over the years. Publishing their own ebooks has never been easier for authors. Self-publishing has become a vital part of the publishing industry and has proven to give many writers a jump start in their career. There are quite a few successful self-published authors out there who are making a sustainable, full-time living. Indie publishing lets authors achieve a much greater earning potential and allows them to write whatever they want, finding niche audiences with their books. This article introduces you to some of PublishDrive’s own self-publishing success stories as well as famous writers who have really made it. (This article was updated on March 19, 2019). Comic books represent a huge part of our modern mythology. We all know characters like Spiderman, Batman or Wonder Woman who dominate comic book culture and their adventures have become a phenomenon among the comic book fans. There are a lot of reasons why you should self-publish a comic book. It will rarely happen that the major publishers such as Valiant, DC or Marvel hire a writer off the street, so self-publishing comics have been popular and changing an aging industry. However, thinking that self-publishing is here to put large publishers out of business is wrong. You’re also mistaken if you believe that self-published comics are something new, booming onto the scene in just the past few years. What’s changed is the barrier of entry and just how many people have access to the tools they need to publish their own stories and have a 100% control on every process. Self-publishing is on the rise, especially in countries where English is a primary or major language. Authors can choose from many publishing services, but how do you know whom to trust? This a tricky question, and hopefully this article will help you decide between different ebook publishing platforms. What are the services they offer? When do they pay? Which stores do they distribute to? Depending on your needs, there could be many good answers; you can choose a self-publishing platform at the beginning of your career and change later, or use multiple platforms simultaneously. If you are not yet sure whether self-publishing is the right fit for you, be sure to read this article first.